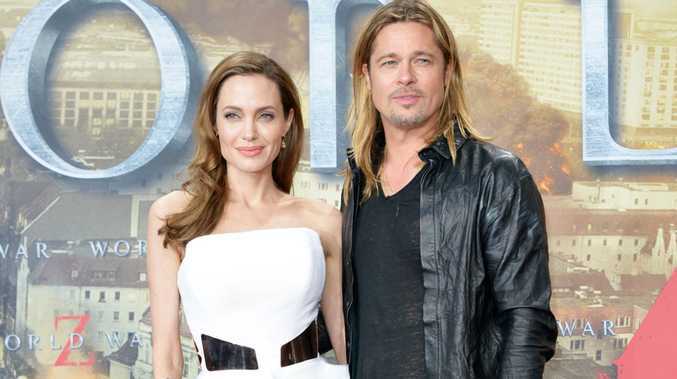 ANGELINA Jolie has reportedly spent $20 million on a heart-shaped island for Brad Pitt's 50th birthday. The 'Changeling' star is said to have splashed out on the idyllic plot - located off the coastline 50 miles north of New York City - ahead of Brad's birthday next month because it includes two properties designed by his favourite architect, Frank Lloyd Wright. A source told the Daily Mirror newspaper: "As soon as Angelina heard the island was on the market she arranged a viewing. She was really impressed. "The house is perfect for romantic getaways or as a family retreat. It's very private. And Angelina knows the fact it is in the shape of a heart will mean so much to him." The 11-acre island is called Petra and contains a cottage built in 1950, nine years before Wright's death, while its main house was built in 2008 from one of his plans. The property features extensive use of mahogany and juxtaposes modern furnishings with exposed rock faces which the house has been built over and work surfaces carved out of solid granite. Brad - who reaches the landmark age on December 18 - has previously talked of his love for Wright, saying: "When I discovered Charles Rennie Mackintosh and Frank Lloyd Wright, it changed my life."